Which type of decking is the most low-maintenance? Construction materials used to create garden decks such as wood and later plastic are susceptible to various problems that require regular maintenance work or the complete replacement of decking systems. Faults with these substances led to a search for a low-maintenance building material that resulted in the development of composite decks that require little expenditure of time, money or effort for their upkeep. Although hardwood is stronger and more durable than softwood garden decks are exposed to the elements which results in fouling and the need for regular maintenance work such as sanding and oiling every year or two. Due to the time it takes for slow-growing hardwood trees to attain maturity the use of this type of timber in construction projects has become controversial with alternative building materials being sought. Popular hardwoods used in garden decking such as teak and mahogany originate from the tropics and the felling of these trees for lumber has resulted in widespread deforestation which has a detrimental effect on ecosystems. Despite plastic’s reputation as an imperishable material its use in the construction of garden decks often leads to poor-quality results with compromised structural integrity, inferior aesthetic appeal and a greater need for maintenance work than might be expected. Although attempts have been made in plastic garden decking technology to address these issues these types of deck remain unpleasing to the eye, tend to expand or contract in hot or cold weather and they are prone to cracking, warping as well as bowing. Until these pressing concerns have been rectified it stands to reason that superior construction materials should be used in the building of garden decks. Softwood garden decks require the most maintenance work and tend not to last as long as decking made from other materials. While it is true that softwood is a cheaper timber than hardwood and that the faster-growing trees from which it is cut are easier to replace than slower-growing varieties it is inferior as a building material and its high-maintenance characteristics and short life-span may result in greater expenses in the long-run. Water-absorbent softwood tends to rot and moulder leading to slippery surfaces that cause health-and-safety issues. Brittle softwood is likely to crack and split while environmental factors often cause it to warp. 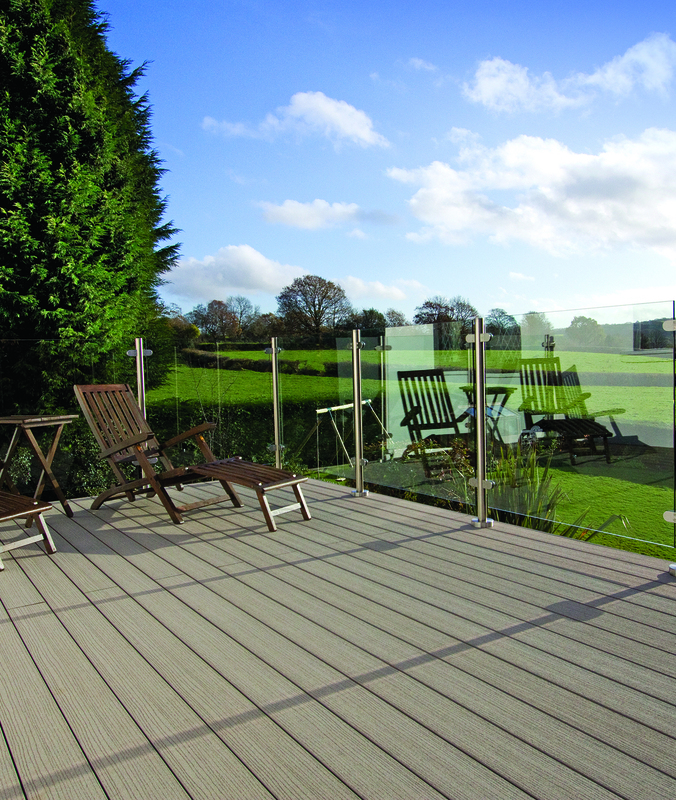 Composite garden decking represents the most advanced form of decking technology available at the present time and was developed to remedy those ailments associated with decking systems constructed from wood and plastic. A combination of recycled hardwood and polymer resin results in a durable material that neither cracks nor rots and its use in the building of outdoor decking allows for some of the most low-maintenance garden decks on the market today. Low-maintenance composite garden decks are easy to clean and do not need to be painted, sealed or stained while its anti-slip properties decrease the chances of accidents in inclement weather when decking is prone to become wet.